If you want to get a little more juice out of your rewards credit card, the Chase Freedom® credit card could be the answer for you. In our opinion it’s one of the best cash back credit cards around for maxing out the amount of rewards you can earn without having to pay an annual fee. This card offers multiple ways to rack up cash back, making it a great fit for everyday spenders who use credit regularly. Keep reading to learn what we think makes the Chase Freedom® cash back card a winner and see how it compares to similar cards on the market. Rewards program: Earn 5% cash back on up to $1,500 in combined purchases in bonus categories each quarter you activate. Enjoy new 5% categories each quarter. Unlimited 1% cash back on all other purchases. Bonus: Earn a $150 Bonus after spending $500 on purchases in your first 3 months from account opening. With the Chase Freedom® card earn 5% cash back on up to $1,500 in combined purchases in bonus categories each quarter you activate with new 5% categories each quarter. All other purchases earn unlimited 1% cash back. As part of the cash back program for the Chase Freedom® card – eligible new Cardmembers earn a $150 Bonus after spending $500 on purchases in their first 3 months from account opening. That breaks down to approximately $167 a month in spending on the card, and purchases still earn the corresponding cash back rewards rate. This card has no annual fee, which is a big plus. There is, however, a foreign transaction fee of 3% of each transaction in U.S. dollars. 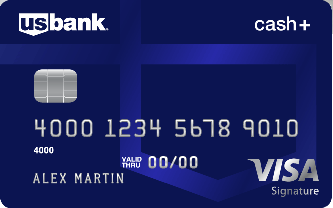 The U.S. Bank Cash+™ Visa Signature® Credit Card puts a new spin on cash back by giving members more flexibility as to where they earn the most rewards. This card allows you to earn 5% cash back on purchases in two categories you choose each quarter (from a selection of categories provided by U.S. Bank), up to the first $2,000 in combined net purchases. Cardmembers will need to choose the categories each quarter and enroll each quarter to earn at the higher cash back rate. You also earn 2% cash back on purchases on your choice of one everyday category, like purchases made at gas stations or grocery stores – there’s no limit to how much cash back you can earn from this category. Like the 5% cash back category, you will need to choose the category from a selection U.S Bank provides each quarter. And earn 1% cash back on your other eligible everyday net purchases. This card has no annual fee. 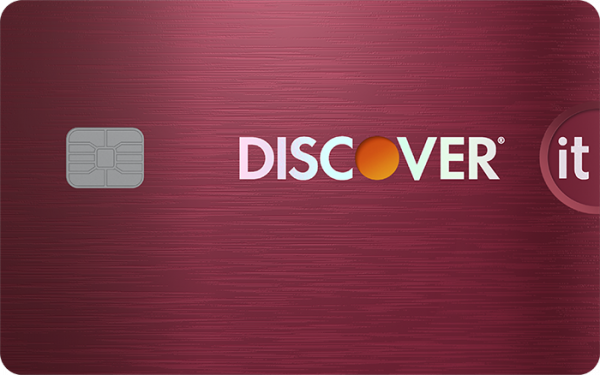 There is an introductory offer: Discover will match all the cash back you’ve earned at the end of your first year, automatically, only for new cardmembers. There’s no signing up and no limit to how much is matched. Discover it® Cash Back offers a tiered cash back rewards structure – earn 5% cash back at different places each quarter like gas stations, grocery stores, restaurants, Amazon.com and more up to the quarterly maximum, each time you activate. Plus, earn unlimited 1% cash back on all other purchases – automatically. Discover sweetens the deal with this introductory offer: Discover will match all the cash back you’ve earned at the end of your first year, automatically, for new cardmembers only. There’s no signing up and no limit to how much is matched. 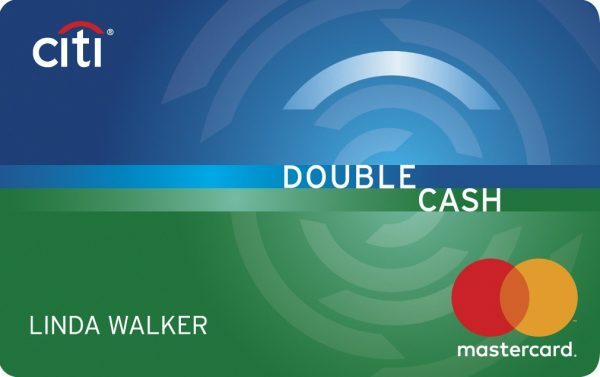 With the Citi® Double Cash Card – 18 month BT offer (Citi is a CreditSesame.com advertiser) earn 2% cash back on purchases: 1% when you buy plus 1% as you pay. Qualifying new Cardmembers earn Double Cash Back: earn 3% cash back on all purchases in your first year up to $20,000 spent. After that earn unlimited 1.5% cash back on all purchases. 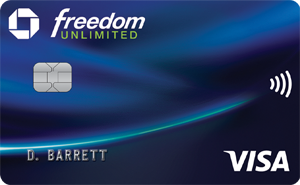 The Chase Freedom Unlimited® is a streamlined version of the regular Chase Freedom® credit card. The Chase Freedom Unlimited® card offers qualifying new Cardmembers Double Cash Back: earn 3% cash back on all purchases in your first year up to $20,000 spent. After that earn unlimited 1.5% cash back on all purchases. And, no need to juggle quarterly changing bonus categories. We can’t tell you that, but what we can say is generally speaking to be considered for one of these offers you would need to have good to excellent credit. Each credit card issuer may have somewhat different guidelines as to what would make an applicant viewed as being creditworthy. Having excellent credit is definitely a step in the right direction however having a credit score in a particular range is not a guarantee that you will be approved for a credit card or if you are approved what the terms extended to you will be. There are many variables in the decision making process to extend credit, your credit score included. 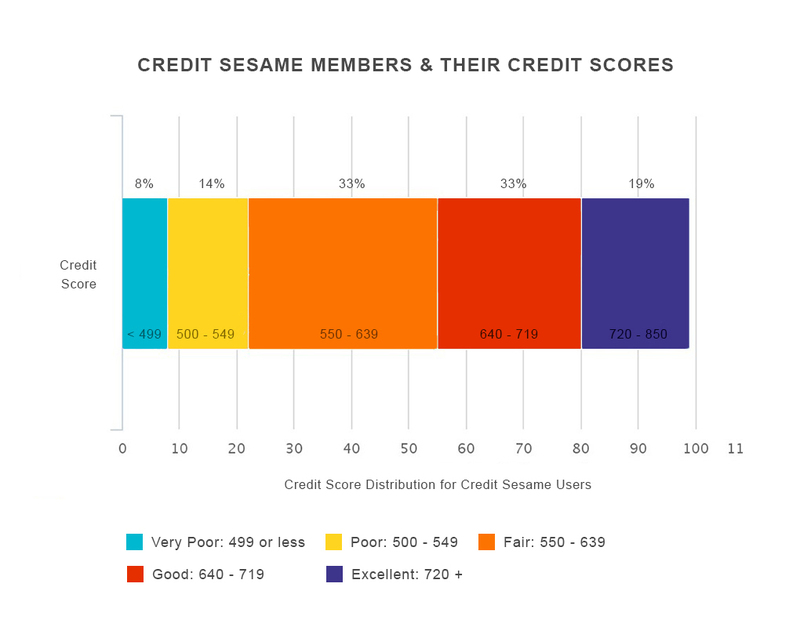 To give you an idea of credit scores and ranges (credit scores and ranges vary based on the credit bureau, below chart is based on the TransUnion scoring model), this is a chart that shows the average credit scores, taken from a subset of Credit Sesame’s 7 million members collected October 2015. 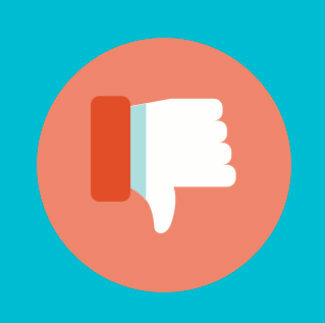 If you’re unsure of where you stand, check out your credit score before you apply for a card. You can get a free copy of your credit report every 12 months from each credit reporting company. As mentioned earlier, the Chase Freedom® rewards program is tiered, meaning there are two different levels at which rewards can be earned. Every quarter, the 5% cash back bonus categories change and you have to remember to opt-in each time they do so in order to earn rewards at that rate (you’ll get a reminder from Chase). Otherwise, you’ll earn the same 1% cash back that applies to all purchases that don’t qualify for the 5% bonus. Once you’re ready to use the cash back rewards you’ve earned, Chase gives you several redemption options. For example, receive a statement credit or direct deposit into most U.S. checking and savings accounts, you can also redeem rewards for gift cards and certificates to select retailers for shopping, dining, entertainment and more. Keep in mind that the redemption value may vary based on how you choose to redeem your rewards. We think the cash back rewards program is the Chase Freedom® card’s best feature and it’s especially attractive for people who use credit to cover day to day spending. The credit needed to be considered for this card is good to excellent. However, keep in mind that the card issuers use a variety of criteria to determine if you are eligible for a credit card, including your credit score. The lack of an annual fee means you can charge as little or as much as you like without fear of an annual fee eating into your rewards. In terms of downsides, this isn’t the card to have if in your wallet if most of your credit card purchases center on travel. The Chase Freedom® foreign transaction fee of 3% of each transaction in U.S. dollars adds another $30 on to every $1,000 you spend while using your card for purchases outside the U.S., which is a drawback. Keeping up with changing rewards bonus categories can also be a hassle and forgetting to opt-in can cost you the 5% cash back bonus. Choosing a card that pays one flat cash back percentage on everything might make more sense if you want a less complicated rewards structure. 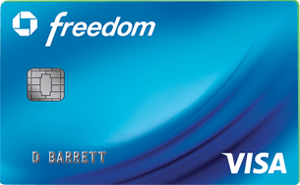 Should you get the Chase Freedom® card? We think Chase Freedom® is suited to people whose spending patterns are a good match for the card’s bonus categories. Assuming you hit the spending limit on purchases for the 5% cash back bonus each quarter, you’d earn a minimum of $300 cash back annually and there are no restraints on how much cash back you can earn on purchases at the 1% cash back rewards level. 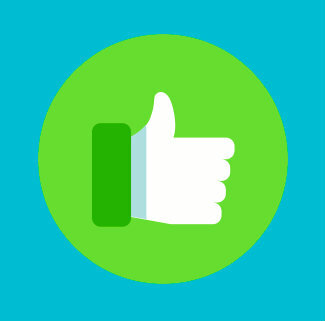 If you’re not sure whether you meet the Chase Freedom® credit score recommendation of good to excellent credit, consider taking a look at your free credit report card from Credit Sesame before you apply. And as we mentioned above, having a credit score in a particular range is not a guarantee that you will be approved for a credit card or, if you’re approved, what the terms extended to you will be. There are many variables in the decision making process to extend credit, including your credit score. Independent Review Disclosure: All the information about the U.S. Bank Cash+™ Visa Signature® Credit Card has been collected independently by CreditSesame.com and has not been reviewed or provided by the issuer of this card. The U.S. Bank Cash+™ Visa Signature® Credit Card is not available through CreditSesame.com.